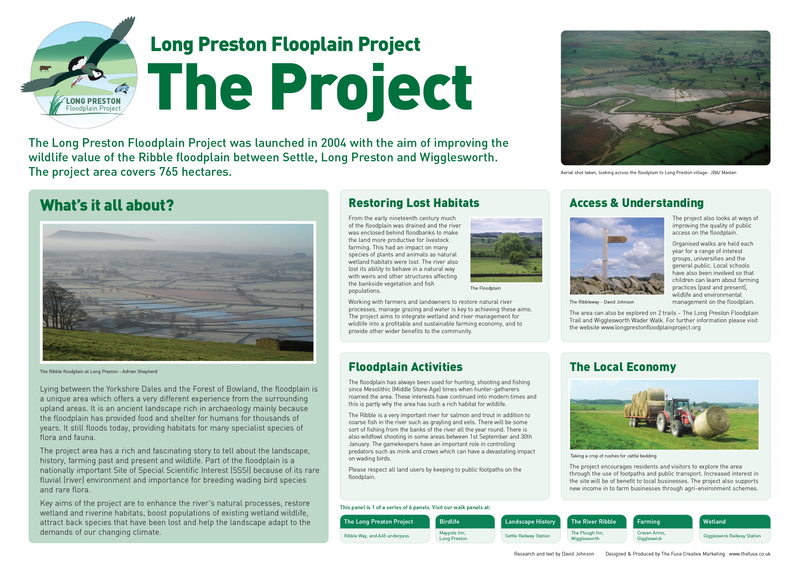 The Long Preston Floodplain Project was launched in 2004 with the aim of improving the wildlife value of the Ribble floodplain between Settle, Long Preston and Wigglesworth. The project area covers 765 ha (1890 acres or 3 miles2). 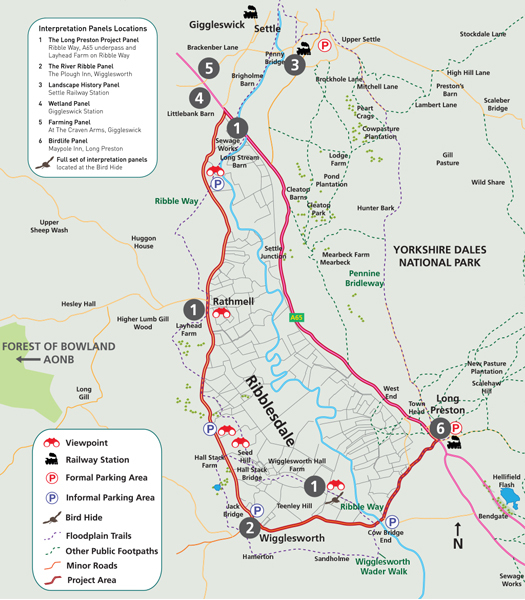 Lying between the Yorkshire Dales and the Forest of Bowland, the floodplain is a unique area which offers a very different experience from the surrounding upland areas. It is an ancient landscape with a rich history mainly because the floodplain has provided food and shelter for humans for thousands of years. It still floods today, providing habitats for many specialist species of flora and fauna including the nationally rare northern spike-rush Eleocharis austriaca. 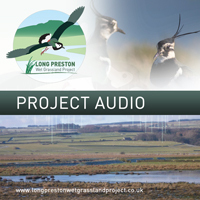 The project area has a rich and fascinating story to tell about the landscape, history, farming past and present and wildlife. 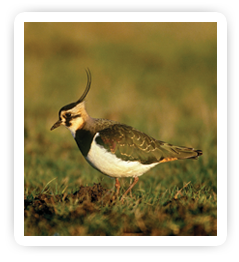 Part of the floodplain is a nationally important Site of Special Scientific Interest (SSSI) because of its rare fluvial (river) environment and importance for breeding wading bird species and rare flora. Key aims of the project are to restore wetland habitats, to boost populations of existing wetland wildlife and to attract back species that have been lost. The project is funded by the Environment Agency, Natural England, North Yorkshire Aggregates Grant Scheme, the Grassroots Grants programme through the Yorkshire Dales Millennium Trust, and the LEADER programme with funds from the European Union and the government Department for Environment, Food and Rural Affairs (Defra). 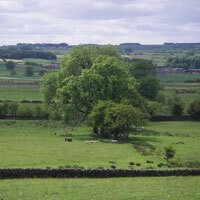 LEADER funding is being made available through the Rural Development Programme for England, which is jointly funded by Defra and the European Union, and is managed by Yorkshire Forward in the Yorkshire and Humber region. From the early nineteenth century much of the floodplain was drained to make it more productive for livestock farming, but this had an impact on many species of plants and animals as natural wetland habitats were lost. 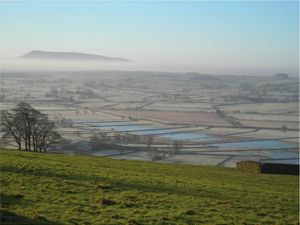 Working with farmers and landowners to manage grazing and water management is the key to achieving these aims, to integrate wetland management for wildlife into a profitable and sustainable farming economy, and to provide other wider benefits to the community. 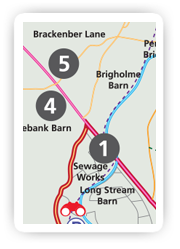 The project also looks at ways of improving the quality of public access on the floodplain. 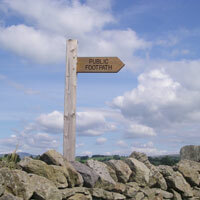 Organised walks are held each year, for a range of interest groups. Local schools have also been involved so that children can learn about farming practices (past and present) and environmental management on the floodplain. 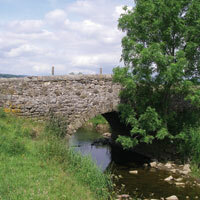 The project encourages residents and visitors to explore the area through the use of footpaths and public transport. Increased interest in the site will be of benefit to local businesses.